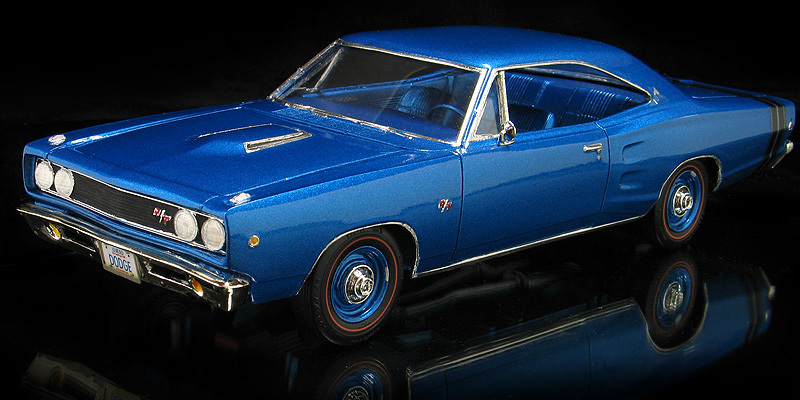 The 426 Hemi powered 1968 Dodge Coronet R/T is one of the Chrysler Corporation's most iconic muscle cars. 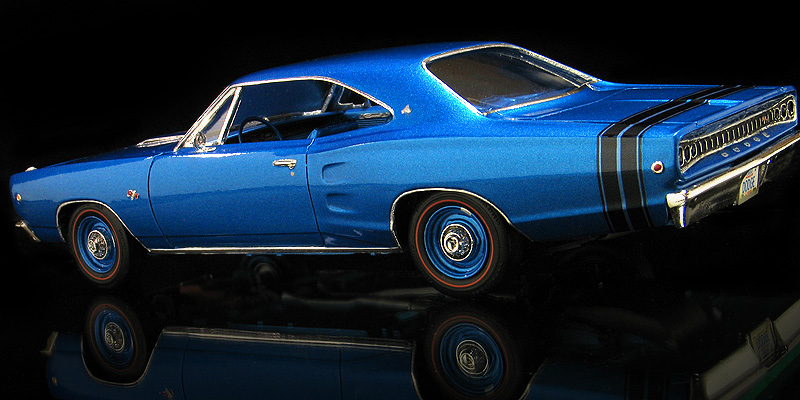 It featured an all-new for '68 body style and introduced the classic Bumble stripe across the rear deck lid. 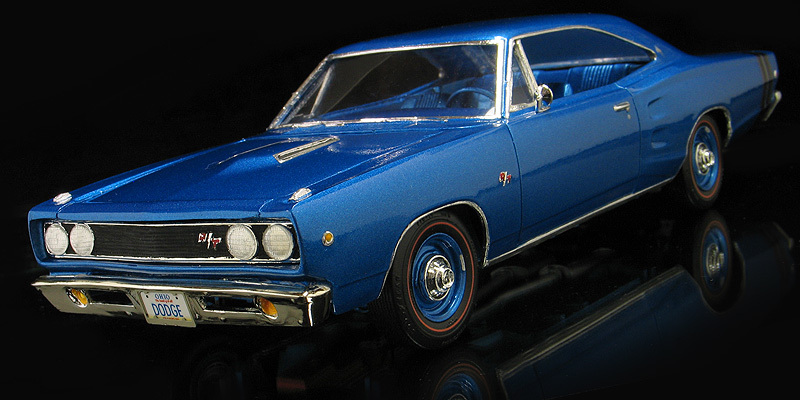 In '68, MPC produced a 1/25th scale model kit of the Coronet. 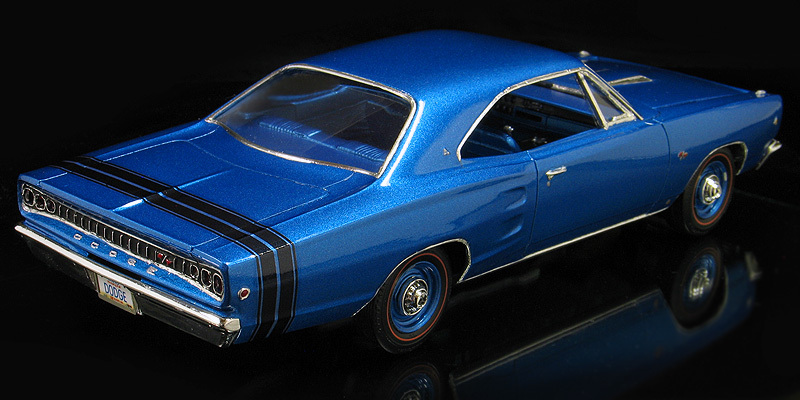 Then the tooling was updated to a '69 and later to a '70 model year making the '68 kit impossible to reissue. Therefore the '68 kits are rare and expensive when they can be found. 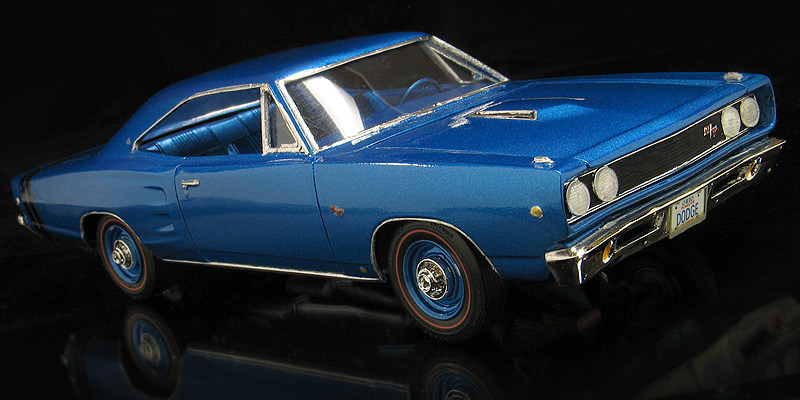 I've always wanted to add a '68 Coronet R/T to my small scale muscle car collection so when I saw this resin re-pop of the MPC kit going for cheap on ebay, I snapped it up. Unfortunately, often what seems like a deal too good to be true, usually is. The ebay listing was for a resin kit of unknown manufacturer and the photos where blurry. When the kit arrived at my house I was disappointed. The resin kit was of poor quality. It was very thick and full of pin holes. There where also several areas where the resin had not completely filled the mold and had left a couple of voids in the body and other parts. At this point most people would have just thrown this lost cause out, but I really wanted to add this Dodge to my collection. I decided to repair the resin body and build it anyway. Luckily, I have a good relationship with my Dremel tool and my Bondo spreader. After many hours of work I had a thinned down body with all the holes filled and a mountain of dust on my work bench. The resin bumpers and grill were unplated, so I first cleaned up the parts and then sent them out to Chrome-Tech USA for plating. The original MPC kit had full wheel covers but I wanted my model to run steelies and poverty caps. I bought a set of resin steel wheels and correct for '68 dog-dish hub caps from the now-defunct A/FX Resins. I sent the hub caps out for plating too. To complete the rest of the kit I used parts from an AMT/Ertl '70 Coronet kit. From that kit I used the windows, chassis and engine. Also I dug through my parts box and used a set of tires from a Revell '69 Charger kit. For those I made a set of red line tire decals. 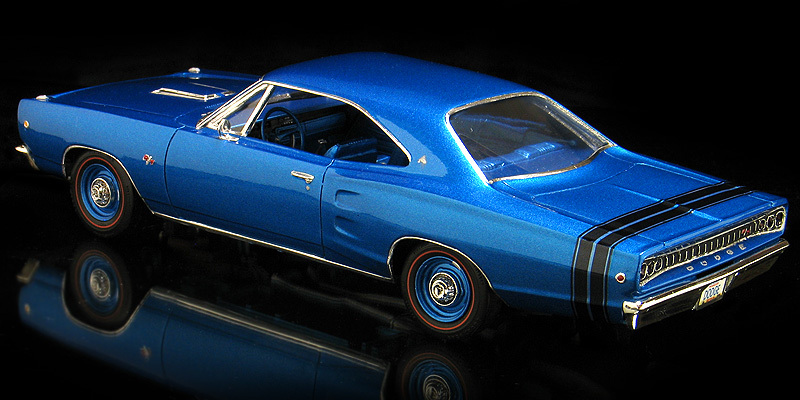 For paint a mixed up a factory matching "b5 blue" metallic acrylic lacquer and shot the body with a small touch up gun. I wasn't able to find any source for a correct '68 R/T bumble bee stripe, so I made my own decal in black. After the decals and foil were applied I then covered everything in PPG urethane clear. 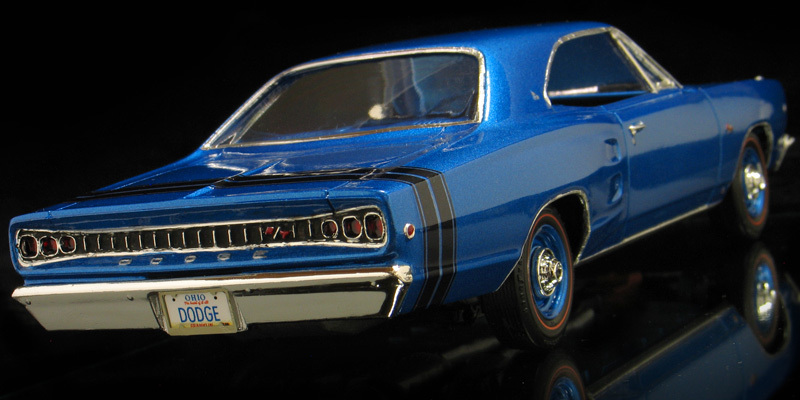 Although this kit took a lot of extra effort to build, I now have a fairly unique and rare Mopar on my shelf and I am happy with it. Extra details include Pro-Tech (PITMC15) license plate frames from Pro-Tech. These are really nice parts and very easy to work with. I made my own custom plates as the final touch.